Hey everyone! Happy first week of official summer. If you’re like me then you’re looking for more cold and refreshing snacks lately. And also spend less time in the kitchen and more outside. 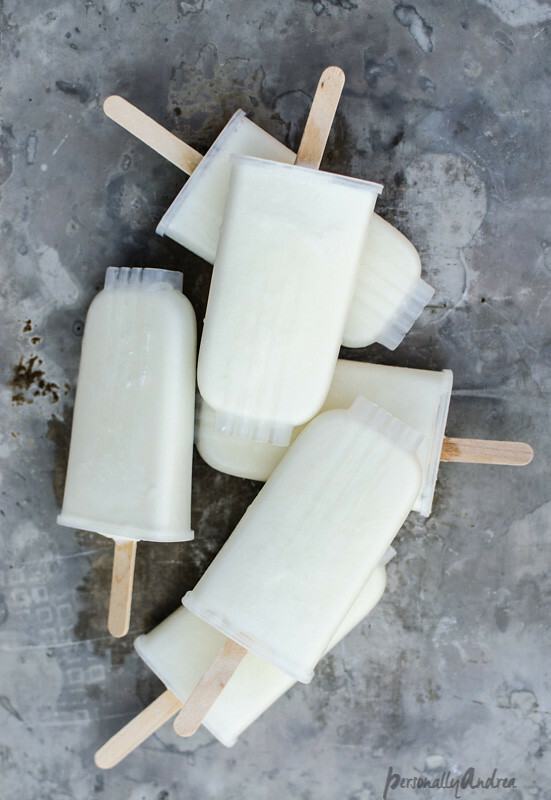 Let’s break out the popsicle moulds and make these smoothie creamsicles. Because I’m lactose-intolerant, I’m always looking for dairy alternatives in smoothies, which are a bit of a staple around here. I’ve been loving coconut milk lately because of the rich flavour it adds and also the velvet-y texture. 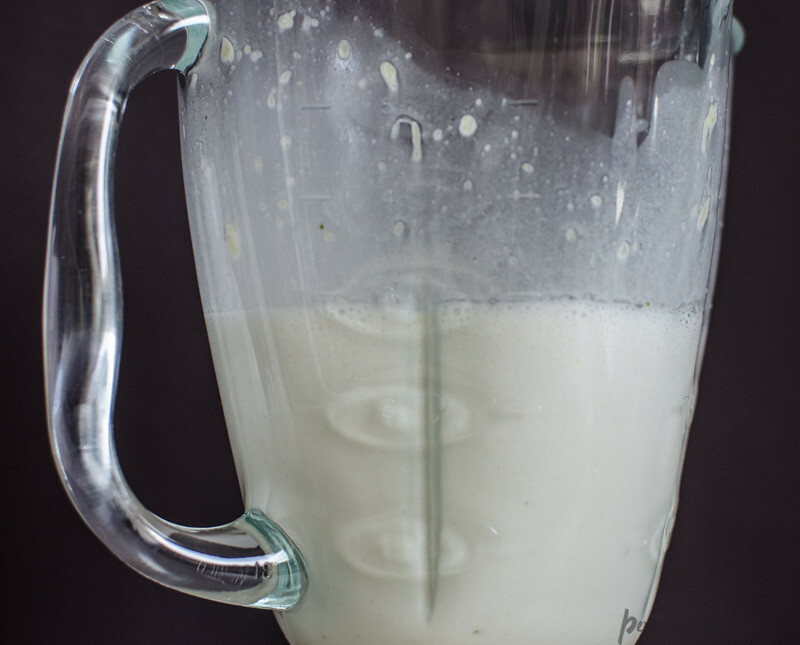 Some smoothie recipes need yogurt or frozen banana to keep them from separating, but with coconut milk it’s not necessary and you can experiment with lots of flavours. And it’s pretty straightforward from there. 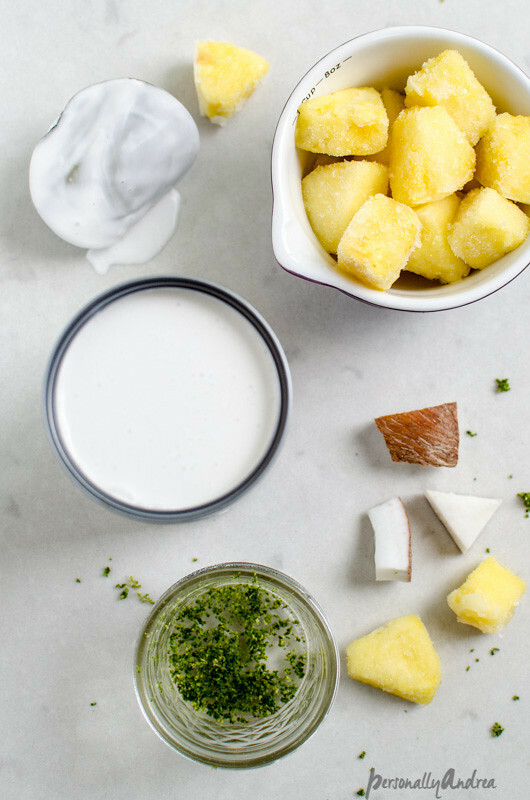 Into the blender, empty the can of coconut milk and add the pineapple chunks. Then I add a bit of water. Just about a quarter cup to make the whole mixture a little thinner and easier to pour. 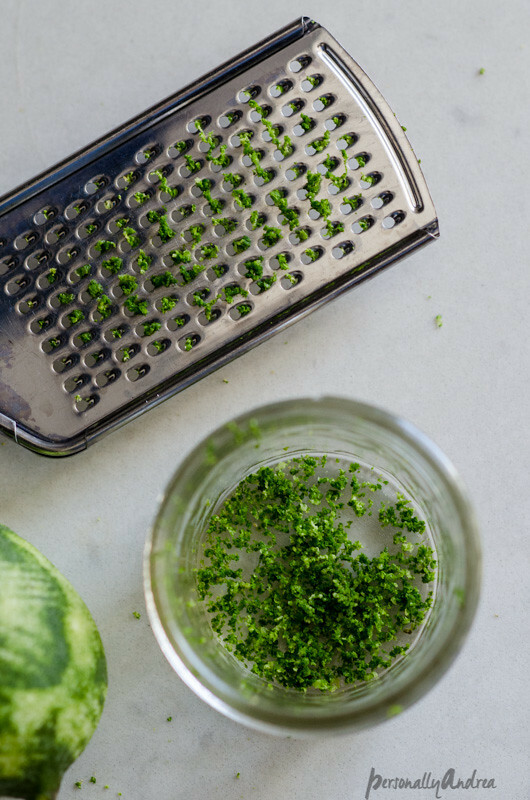 Grate in the lime zest and blend until smooth. Hence the term… smoothie. I bet you always wondered. 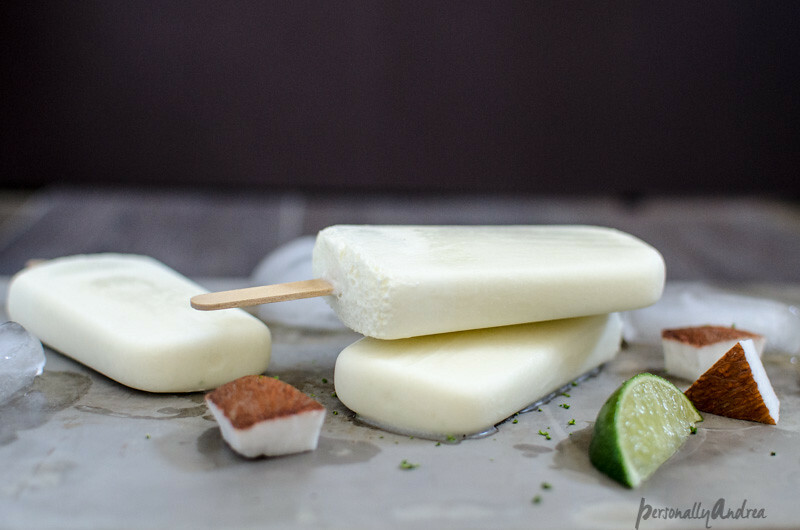 Pour into popsicle moulds and freeze for at least six hours, or until they’re frozen through. Enjoy! Seriously don’t omit the lime zest. It may seem like a minor thing but it really adds the perfect finishing taste to this combo. 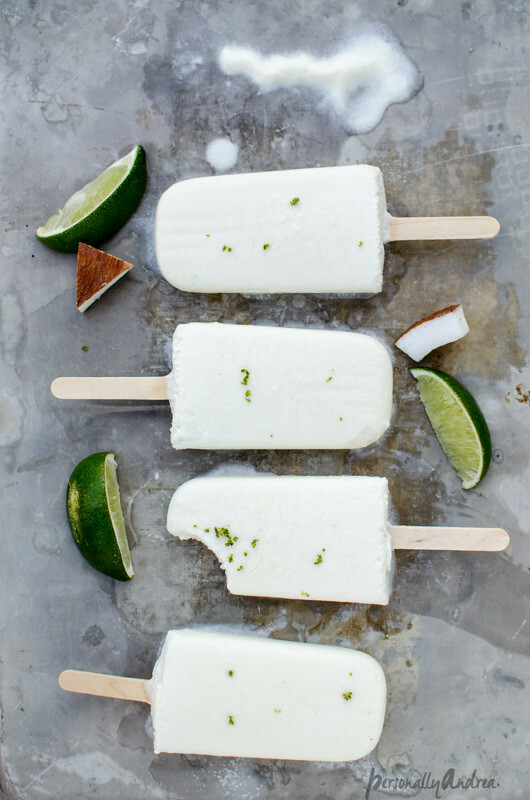 Did you know you could zest a whole lime and keep it in the freezer so you always have a little bit to add to your baking, your guacamole and your smoothie creamsicles? So handy, since usually you just need a tiny bit, right? 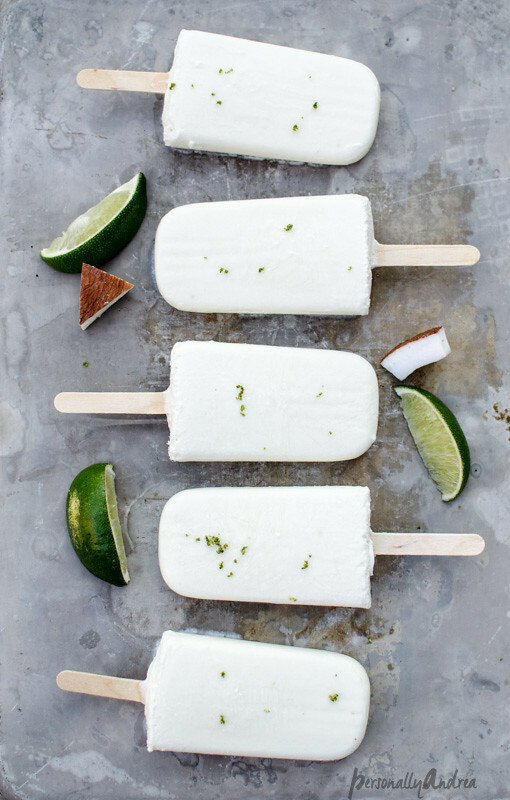 If you’re excited for a season of frozen treats, you can follow my Pinterest board Frozen where I’m pinning all kinds of cold treats for summer, both healthy and not-so-healthy. And nothing from Disney. Just sayin’.